"Quantum Break" is part hard-hitting video game, part thrilling live action show featuring a stellar cast, including Shawn Ashmore as the hero Jack Joyce, Aiden Gillen as his nemesis Paul Serene, and Dominic Monaghan as Jack's genius brother William. "Quantum Break" is full of the vivid storytelling, rich characters and dramatic twists Remedy Entertainment are renowned for. Choices in-game will affect the outcome of the fast-paced fusion between game and show, illustrating one story perceived in many ways for a completely unique entertainment experience; play the game to understand the heroes, watch the show to discern the villains. Simply put, this is a must have for fans! I have the Xbox version of the game and also the limited run vinyl / LP, of which only 3000 were made. There was however no special editions released for the Xbox One, but when I saw the price of this on Raru going for R89, it was a no brainer. Do yourself a favour and YouTube the unboxing of this - Lots of care taken in this little collector's pack and the book is excellent. This whole package is excellent as a standalone for PC gamers, but is a perfect companion if you own the Xbox version. 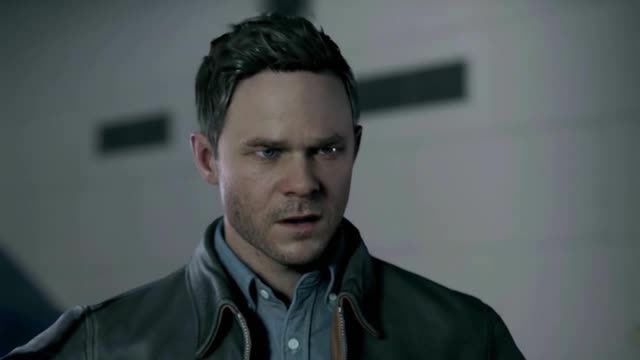 As a fusion between television show and game, Quantum Break keeps you locked to the screen. With a full-cast of notable actors, Aiden Gillen (from Game of Thrones) & Shawn Ashmore (from X-Men) in the lead roles, you can be sure that this adventure focusing on time travel and manipulation is sure to enthrall. The story weaved by Remedy is masterfully thought out, giving the player much to think about after they finished their adventure. For those less story-inclined, episodes are split by gunfights, which allow you to show your prowess with the various abilities unlocked throughout the game. A handful of different weapons also allow for diverse gunfights and some story elements, in the form of collectibles, are scattered about to flesh out finer details. The Timeless Collector's Edition includes 5 game discs, with all game data (so no need to download from Steam), but unfortunately, does not include the various episodes in between the gameplay. These are to be streamed over the internet as actions within the game, affect them, which allows for some replayability. The packaging feature a glossy and matte finish, for the graphics and background, as well as a gold ribbon to ease removal of the contents (via pulling it). Included is a booklet, with added information on characters and the game world, as well as concept art and the illustrations regarding the design process. A fairly useless quickstart guide is added, basically showing key bindings, as well a single A3, double-sided, poster. This is folded multiple times and loses any real value as a display item. Two extra discs are also included, one a Soundtrack, the other a Development History. Keep in mind the latter is on a Blu-Ray disc. The Soundtrack, although suitable in the game, is not something you'll be listening to on a regular basis. It features 15 tracks and is a nice to have. Overall the Collecter's Edition is definitely worth the price, with a premium feel well suited to the stellar game. Any fan of Remedy's other games, like Alan Wake, should give it a try, and even if you're not, still do.